Each week an interesting web site and app are highlighted on this page. Visitors are invited to suggest sites and apps to be highlighted. To kick off May, I am highligting engaging news websites for students. Michelle Hick's from Coventry High School recently shared this week's site 10 X 10, described by the developers as "an interactive exploration of the words and pictures that define time." The site is interactive. If a viewer clicks on one of the images links to additional articles are provided. The audience for this site is middle/high school. RILINK Schools users can simply reuse the box to add it to their site. Next week we will talk a look at online news sources for younger students. 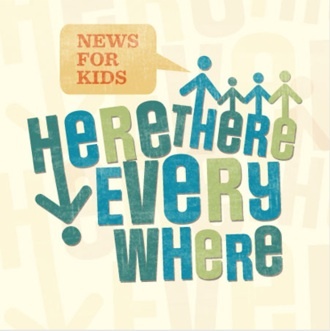 As promised last week the highlighted site for this week focuses on news for kids. Here There and Everywhere comes from a list of recommended sites from make use of. HTE is aimed at elementary and older aged students with the intent of connecting them to the larger world. Learn more about HTE and the people behind this site at http://htekidsnews.com/about/. My first encounter with Ian Jukes was as the keynote speaker at a SLRI (then RIEMA) conference in I believe the spring of 2007. At an Follett conference in 2011, I heard again heard him speak about the 21st Century Fluencey Project. Well, the project has taken on a new look and continues to be a wonderful resource. Check out the Fluencey21 Unit Planner. Site of the Week will return in the fall. Have a great summer! Hope to see you at the summer conference!